Taking a whale watch tour in New England is a favorite visitor pastime. In this article you’ll discover what you’ll see, where to go, and what to take, to make your whale watch trip unforgettable and magical. The big animals will be thrilled and are waiting to put on a mesmerizing show for you. The fact of the matter is, there’s only a handful of places left in the world where you can see these gentle, but monster-sized creatures in their natural habitat. 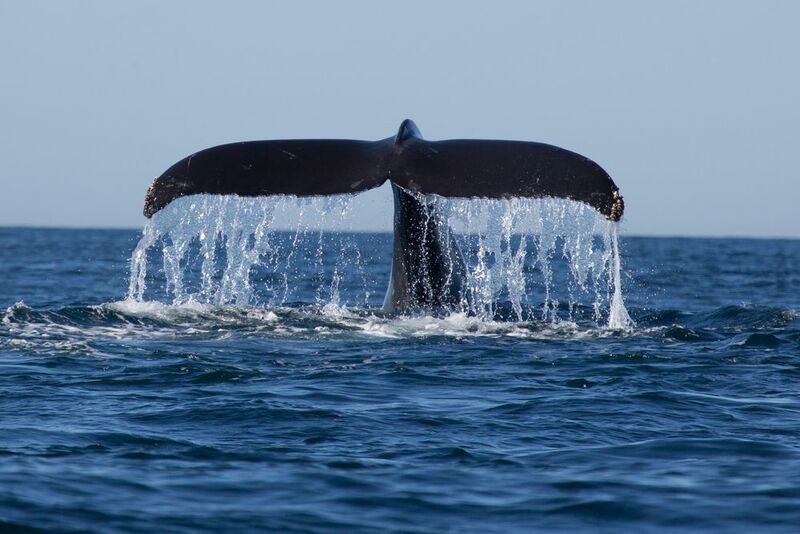 And the coast of New England offers incredible sightings for whale watch enthusiasts. Over the years a thriving whale watching industry has ballooned to accommodate the thirst for close-up views of this magnificent mammal. Each year the North Atlantic whales head from their winter homes to their summer feeding grounds off the New England coast. Not too long ago humans in this region didn’t just watch whales but hunted them for oil and other whale by-products. And sailors on the whale ships discovered whales teeth were a form of Ivory and used them for carving, and the art of scrimshaw was born. Whole towns and communities around Massachusetts were built on the fortunes of the whaling industry. 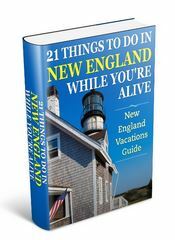 These included Cape Cod, Nantucket, Martha’s Vineyard, and eventually New Bedford – now home to the whaling museum. Nowdays, whale watching is a passive pastime. New Englanders revere whales rather than hunt them down for profit. Whale watch trip boats are as natural a sight in Massachusetts waters as sailing boats and cruise ships. So How Do I get To See The Whales? Popular ports for whale watch tours in Massachusetts are: Newburyport, Gloucester, Boston, Plymouth, Hyannis, and Provincetown. See the map for location of towns and prime whale watching areas. The whale watching boats from these towns mostly head out towards Stellwagen Bank. An area off Cape Cod and rich in krill – a favorite dish of Humpbacks – plankton, and mixture of fish delicacies for whales. Stellwagen Bank was officially designated as the nation’s eleventh sanctuary in 1992, and adopted the complete name of Garry E. Studds Stellwagen Bank National Marine Sanctuary. Stellwagen Bank itself was formed during the last Ice Age when the glaciers covering New England finally retreated for good. The Bank stretches across the mouth of Massachusetts Bay, and provides protection for the Bay keeping the waters warmer than the more northerly coast of New England. The structure and location of Stellwegan Bank, together with the pea-soup nutrient-rich New England Ocean, produces a feast of plankton, krill, and fish. The result is the equivalent of a candy store and a kid – or in this case whales. The whales just love the area… and so will you! What types will I see on my whale watch? You’re most likely to see the following whales on your whale watching trip: Humpback, Finback, Minke, and if you’re really really really lucky you may see a rare Right Whale. Humpback Whales : Humpbacks are distinctive for wart-like bumps call ‘tubercules’ on their jaws. Tipping the scales at a slim 30 tons and a house-length 40-50′, these “babies” consume about 3,000 pounds of fish and krill per day. General theory is that Humpbacks fast through the winter months, when they usually give birth to their calf. So when they head north they’re really, really, really, hungry! 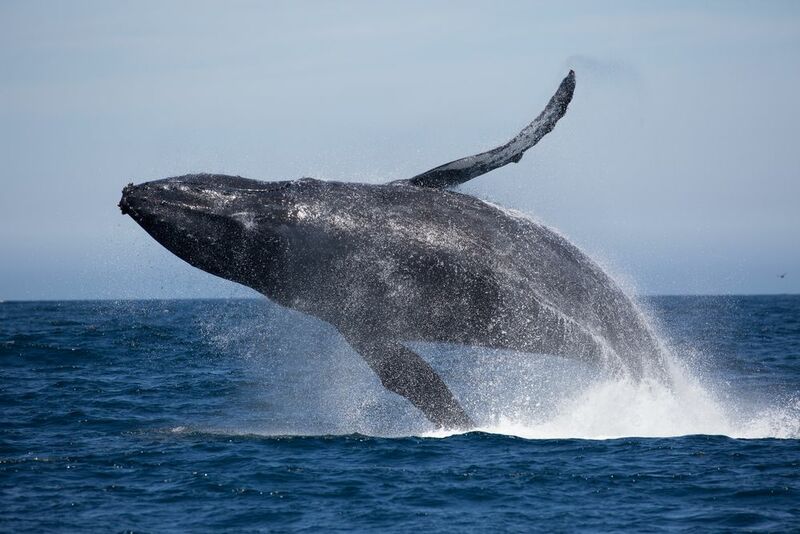 Humpbacks have a known migration path, and winter in the Caribbean and summer in the cooler waters of the north east coast. Population estimates are around 8,000 for the North Atlantic group. Finback Whales : Finbacks are second only to blue whales in size. Growing to 70’ and a cool 40 tons. Worldwide population for Finbacks is estimated between 60,000 – 100,000 but they are still on the Endangered Species list. It’s not known for sure if they have a winter home. Minke Whales : A small whale the Minke whale grows between 15-25’ and weighs in at a modest 5-8 tons – just a tad more than me… according to my kids! The Minke whale is the most abundant whale in the world with population estimated at 1,000,000 with the bulk of them in the southern hemisphere. The winter movements of the Minke are not well-known although recent evidence suggests they may winter in the Caribbean like the Humpback. Right Whales : The Right whale is recognizable by hardened patches of skin on their head – called “callosities.” The Right whale grows between 40- 50 tons, and a length of 45-55’. You’re more likely to see Right whales in New England in early spring and late fall particularly around the Cape Cod and George’s Bank regions. It’s not clear if they all migrate to a winter home. 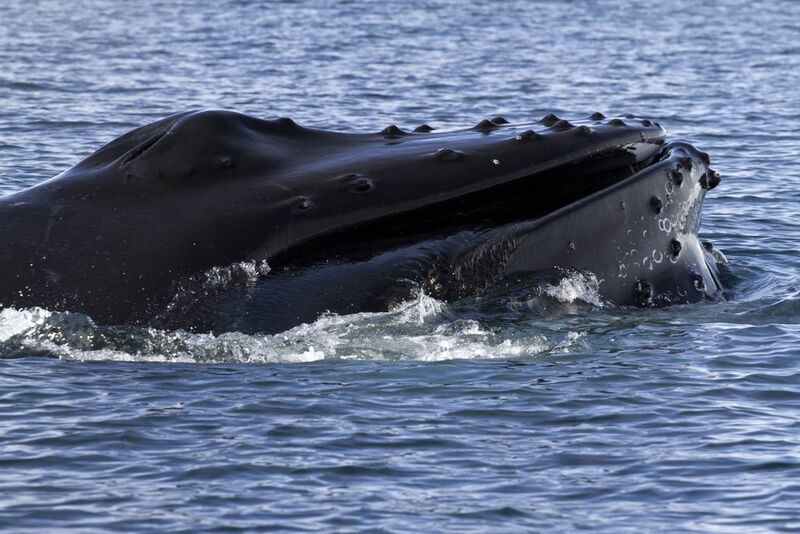 The population of the Right whale in the North Atlantic is dangerously low. Speculation puts the number around only 300. The Right whale was hunted almost to extinction because it’s a slow swimmer and an easy kill for the New England whalers. Many of the whale watching tours guarantee sightings. Which means, if you don’t see any whales on your trip then you get a rain check – A free ticket for a whale watch trip on another day. It’s a fact that whales move around. They follow the food and so some days finding them can be a challenge. The captain uses a combination of knowledge, experience, and sophisticated equipment in locating them. The whale watch boats are in constant communication with each other, and so sightings quickly make the rounds of the boats and help point a tour to a good location. But, you can expect it to take a few hours to locate whales. I’ve been on trips that have been out for over three hours. Remember you’ll be in open water, and at times it can be choppy. You need to take that into account if you, or a member of your family, suffers motion sickness. A camera (digital) with a large memory card. Be sure to set it for “sports” or “action” to reduce the chances of a blurry photo. These magnificent animals come real close to the boats – just a few feet away – and you don’t want to miss capturing the sight of a Humpback as it breaches for you. If you’re got binoculars take them, as many times the whales will surface yards from the boats, and getting close may end up being a chase for the captain. Having binoculars will give you a spectacular view few others on the boat will get. On sunny summer’s day in New England you’ll need protection. Take sunscreen, and sunglasses to avoid the glare off the ocean. Taking a hat for extra protection is a good idea, but make sure it has a tie strap for your chin, or with the ocean breeze it’ll end up with all those bottles on deserted islands. Wear sneakers or something rubber-soled for good traction on a wet and slippery deck. And because of the breeze and open water take a sweatshirt, or windbreaker, especially during a late afternoon trip when the air-cools quicker out in the ocean. Perhaps one of the most frustrating and despairing things to witness in the animal world is mass stranding of whales. When I lived on Cape Cod it was almost an annual event. Volunteers would frantically try with any means available to get the beached whales back out to sea. On rare occasions when helpers were successful the whales would almost always end up back on the beach. When you consider that most of the whale species are on the Endangered Species list then loosing just a few whales each year is devastating for the whale population. While nobody can be certain why these mass strandings happen, the general theory is that the lead whale – usually a female – becomes sick and disoriented and heads to shallow water, and everybody else follows. It then becomes a helpless and futile attempt to recover and save the lives of the whole group. It’s amazing to think that in less than a few generations we’ve gone from doing our best to exterminate whales from the face of the earth, to now doing everything in our power to preserve and save them – including running down to the beach and trying to stop them committing suicide. I’ve been on a number of whale watch cruises from locations along the Massachusetts coast. The season runs from early May to October. You may also want to consider the New England Aquarium whale watch cruise as it has an excellent reputation and has staff go out on the boat with you and explain all about the mammals – very educational. The New England Aquarium is in the harbor area in downtown Boston, an exciting place for sightseeing with great restaurants and lodging. All the towns mentioned already and along the coast where the cruises depart have a wide variety of accommodation to suit all budgets and preferences. The resource below will help you find the best lodging for you. 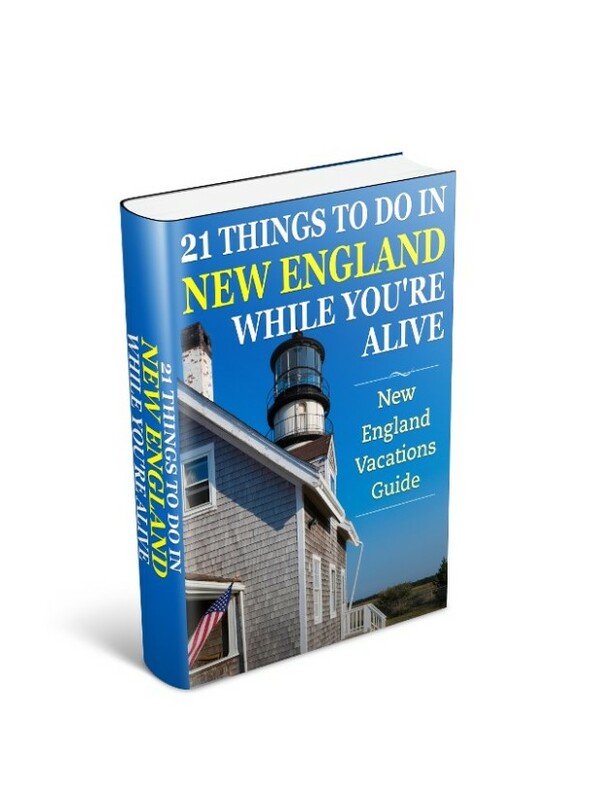 To discover where to stay deals, and compare rates and amenities with a trusted and professional travel organization then check out Massachusetts lodging and accommodations.